This natural specimen has been polished to a smooth finish to highlight its light and dark green banding. 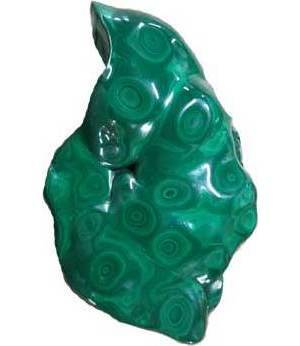 Malachite is usually found in large opaque green masses, copper being the cause for the coloring. Boxed to contain up to 5#, could be one large piece or it could be a Medium plus a few small. Our choice.